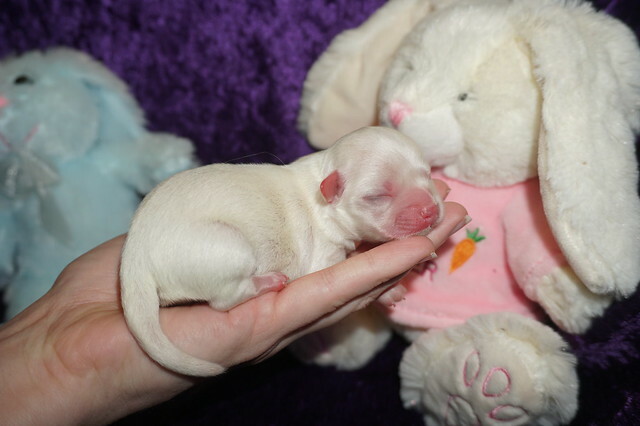 June 2019 Maltese Puppies. 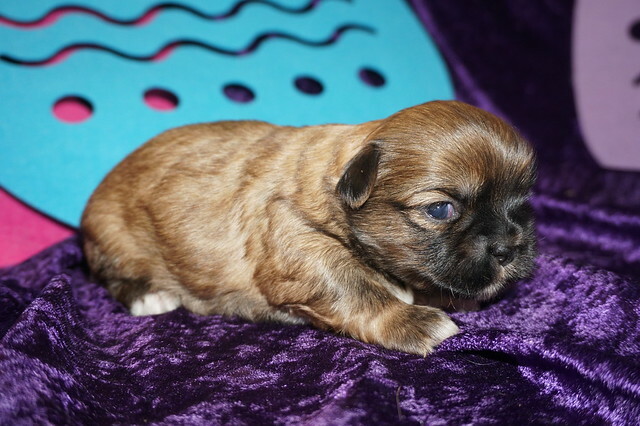 In the one you like says STILL AVAILABLE then scroll down to that puppy. 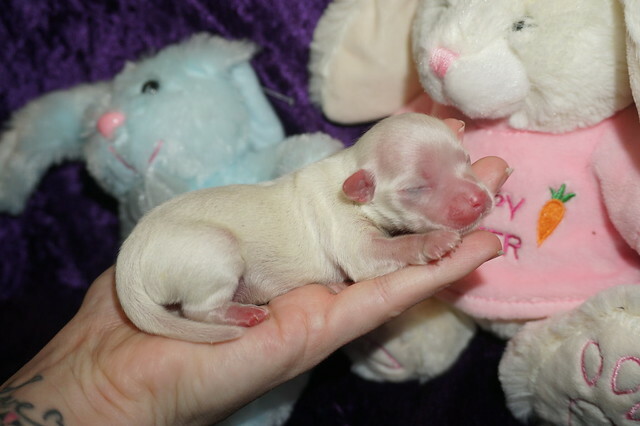 Hey I’m Smalls and I’m one of five males in my litter of five, that’s right no girls in my litter. My litter theme is after the series sandlot and we were all given the nicknames. 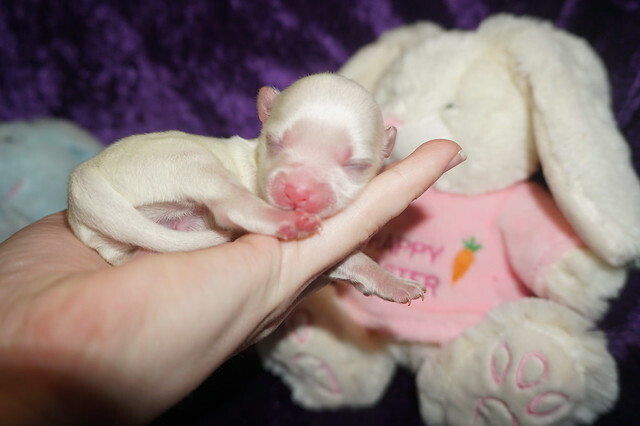 I’m told I;m the wise one of the group so pick me because I make wise decisions and ready to be your little hero!the smallest of my litter and I promise to have the largest heart to love you always and always!! Just look at my gorgeous white silky hair and because I’m a Maltese I have my tail. My mommy Lacey and Daddy Bam Bam are the sweetest Maltese in the world. My birth weight 3.5 oz Estimated Adult Weight 5.6 lbs. Benny is a very special baby boy! He may be a baby now, but isn’t lacking when it comes to personality! He’s super friendly and loves everyone he meets! His coat is thick and soft. This baby is going to make a great companion and be very loyal to his family. Benny is always doing something sweet to catch your attention and it always works! He is very sweet and I’m sure you’ll fall in love with him at first sight. 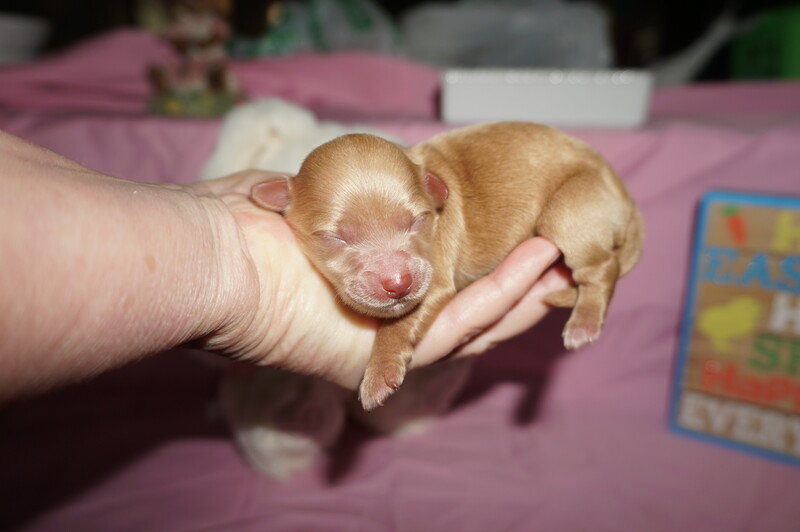 Don’t pass up on this baby because he can’t wait to meet you! 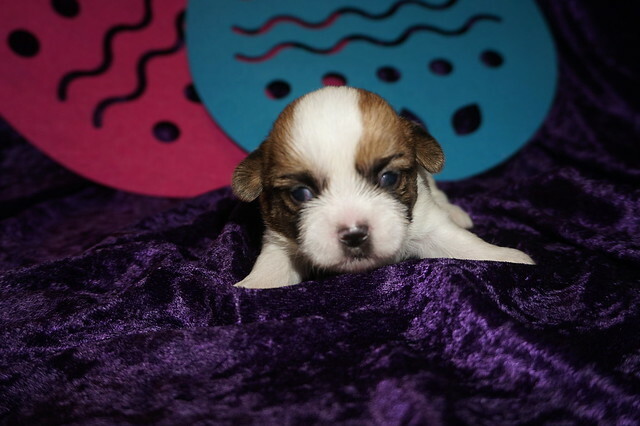 Hey I’m Benny and I’m one of five males in my litter of five, that’s right no girls in my litter. My litter theme is after the series sandlot and we were all given the nicknames. I’m told I;m the wise one of the group so pick me because I make wise decisions and ready to be your little hero!! Just look at my gorgeous white silky hair and because I’m a Maltese I have my tail. My mommy Lacey and Daddy Bam Bam are the sweetest Maltese in the world. My birth weight 4.5 oz Estimated Adult Weight 7-8 lbs. Ham is the prince charming you have been searching for. His good looks and sweet eyes will melt your heart and the hearts of your friends and family. He’ll be sure to shower you in puppy kisses, so be ready for more affection than you could ever imagine. He’ll rescue you from your long days with lots of love, tail wags, and cuddles. Ham will warm your heart unlike any other. He will fight for your heart because he knows you are the one. This sweet boy will be coming home to you with a lifetime of LOVE! If you know he’s the one call today, so all you have to do once he arrives is worry about where to cuddle up first! Hey I’m Ham and I’m one of five males in my litter of five, that’s right no girls in my litter. My litter theme is after the series sandlot and we were all given the nicknames. I will wrestle anyone to win your heart! . Come on pick me your killing me smalls making me wait for the decision that I’m the oneJust look at my gorgeous white silky hair and because I’m a Maltese I have my tail. My mommy Lacey and Daddy Bam Bam are the sweetest Maltese in the world. My birth weight 5 oz and my Estimated Adult Weight 8-10 lbs. I bet that you’ve never seen a puppy as adorable as Squints! Isn’t he just the cutest! He can’t wait to meet his new family. You are going to have so much fun together. Just think about all ther nice walks, playing lots of games, and when you’re done you’ll have cuddle time. Do you think you could be the family for him? He sure hopes so! Oh, and did I mention that he gives world-famous puppy kisses? Don’t miss out on them! So hurry up and decide after all you Squints the one for you, so that means look any further and pick Squint! So come on it’s time to pick up the phone and say I want Squints! Hey I’m Squints and I’m one of five males in my litter of five, that’s right no girls in my litter. My litter theme is after the series sandlot and we were all given the nicknames. I will follow you around and you laugh making you the best story teller of our great adventures together! Just look at my gorgeous white silky hair and because I’m a Maltese I have my tail. My mommy Lacey and Daddy Bam Bam are the sweetest Maltese in the world. My birth weight 4 oz and my Estimated Adult Weight 8-10 lbs. AVAILABLE! 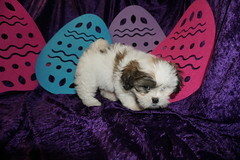 Nestle Gorgeous Chocolate with White Male CKC Havanese Sweet As Candy! 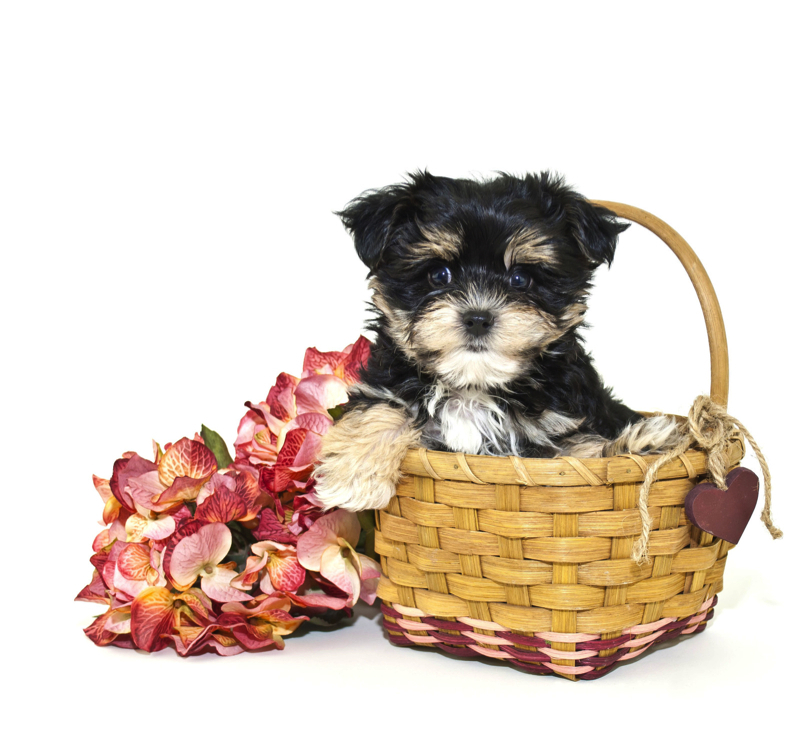 Nestle Quik is a very adorable Havanese puppy. He is ready to share his new life with you. He will melt your heart upon arrival. You will love his soft, silky hair and his lovable sparkly eyes. 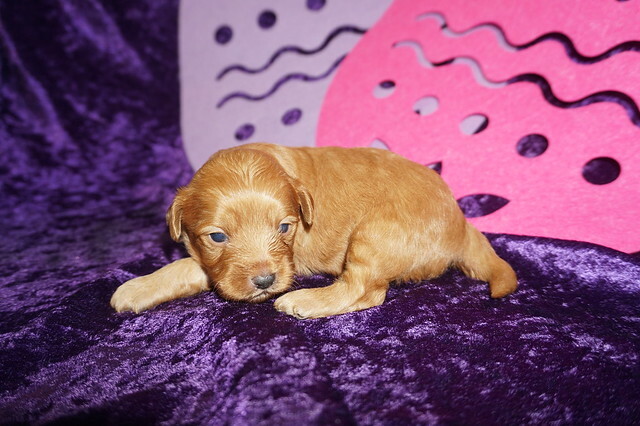 If you were looking for that new companion and someone that has a lot of love to give, you have found that in Nestle Quik With his gorgeous color you will love showing him off to your family and friends, so call now and get him coming your way. You will be very pleased at your decision when you see his face. 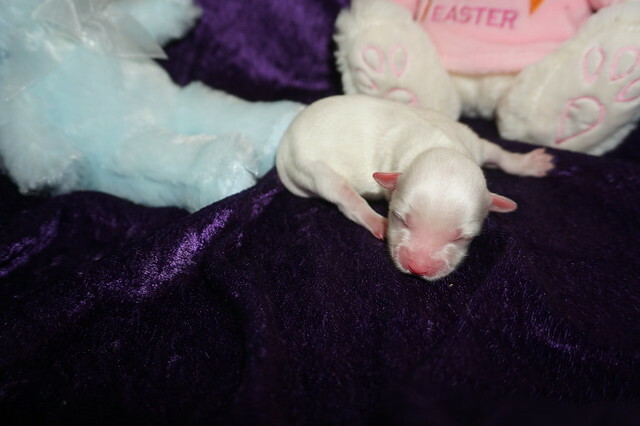 Hey I’m Nestle Quik and I’m the only puppy in this litter. 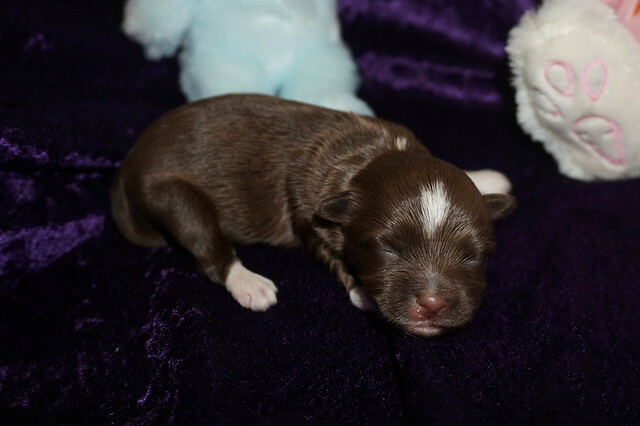 My Litter is named after my daddy after all I have his gorgeous chocolate color so I’m carrying on his name sake. Just look at me I’m a gorgeous chocolate color with white marking on the top of my head one tiny spot on the back of my neck , all four paws look like I’m wearing socks, a smidgen on my muzzle and look at that white on my chest making me absolutely gorgeous and don’t forget the cutest tail with the tip in white. My soft hair will entice you to run your fingers through it. I’m a toy size Havanese so estimated adult weight is 8-10 lbs unlike regular Havanese that weigh 18-22 lbss he is ready to steal your heart! Available! 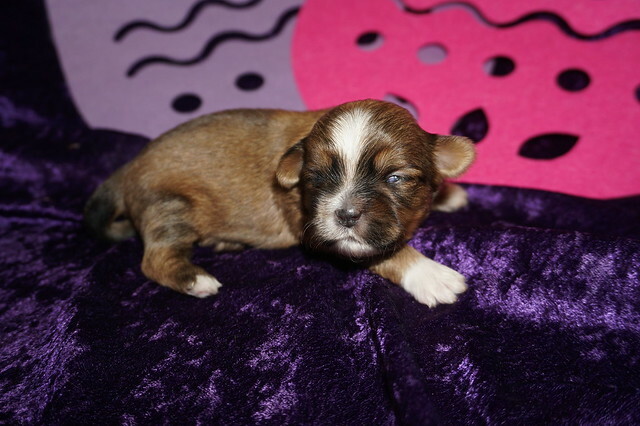 Giggles Female CKC Shorkie Pup Says Are You Ready to Giggle With Me? Meet Giggles! She is as beautiful and loving as they come. Giggle is sporting a heart brindle marking on her right side and will be sure to win your heart over with just one look. This little puppy will love to play and when she is all done with playtime, she will be the first one to curl right up to you for an afternoon nap. Don’t miss out on this lovable girl. 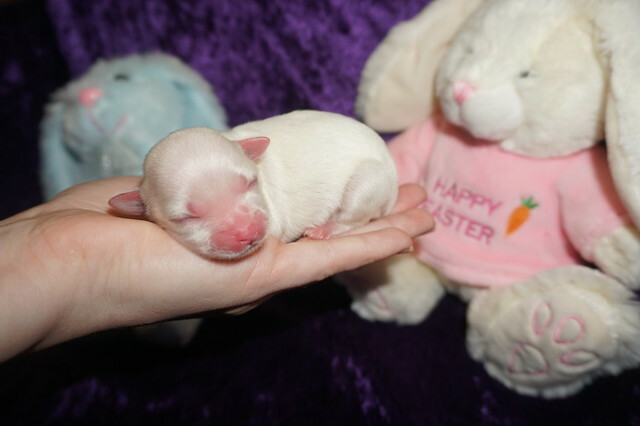 She will be the perfect puppy addition to your family! HAS DEPOSIT! 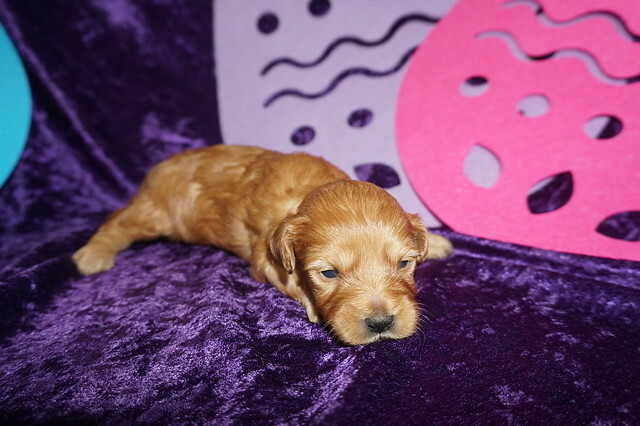 Meet Toddy Beautiful Red Apricot Female CKC Havapoo! Toddy is such a very beautiful little girl! She will sure to be the talk of the town! Shee loves to play and run around all day. She is a little snuggle bug! Toddy will be a very loyal companion to her new forever family and will come home to you with a lifetime of puppy kisses. She hopes you love to cuddle and take a nap after a long day of fun. Toddy will be ready for all the love she can get. Don’t miss out on this pup. Her bags are packed and she’s ready to go! 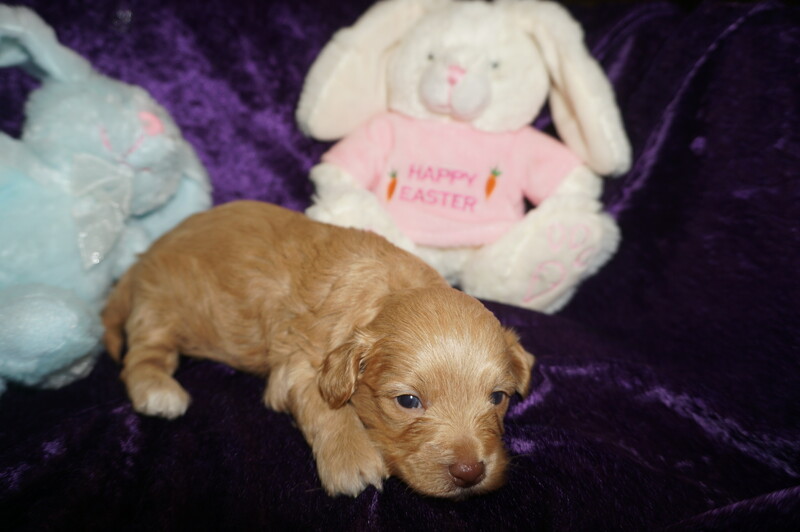 I’m Toddy and I’m one of two females in my litter of three Havapoo pups and I’m so sweet! 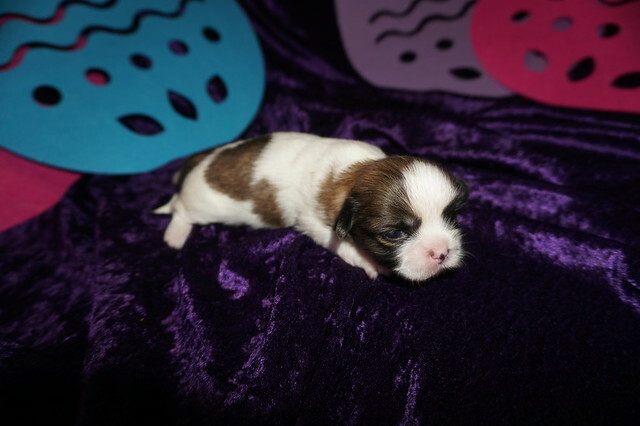 No Litter theme for my litter as everyone was anxiously awaiting our arrival so our new families named us immediately (So guess litter theme is much awaited puppies) Since the name Toddy is short for Ole Miss where family graduated from and the chant is Hotty Toddy so Toddy fits her perfectly. I’m a gorgeous red apricot color. I have soft silky hair that will entice you to run your fingers through it, I also have my full tail. My mom Little Red Riding Hood is 8 lb Havanese and Daddy Chili Pepper Spice of Life is 6.8 lb poodle making our litter toy size. 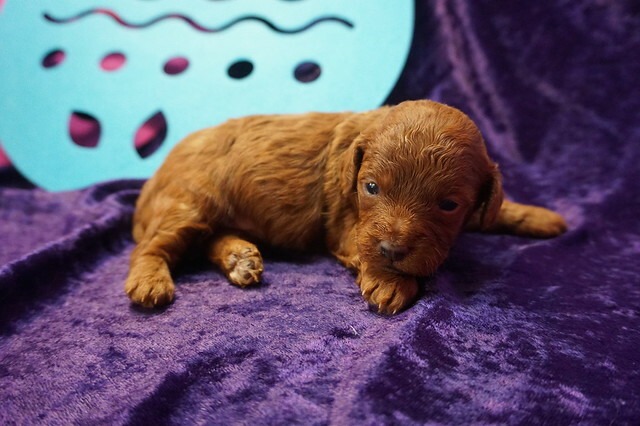 I’m the tiniest of my litter weighing only 5.1 oz at birth and estimated my adult weight is 6 lbs unlike regular Havapoo that weigh 18-22 lbs he is but I’m ready to steal your heart! HAS DEPOSIT! 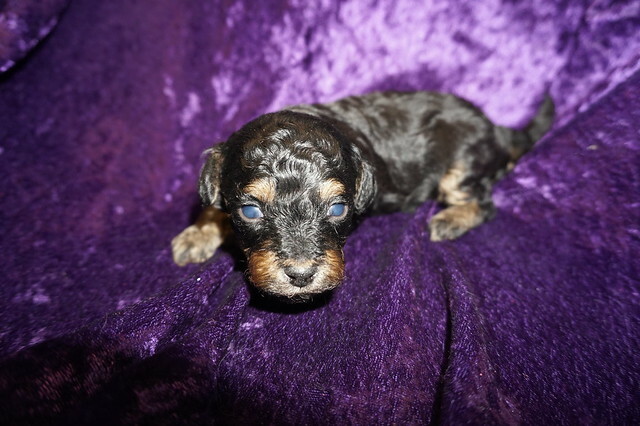 Dexter Gorgeous Black Gold Male CKC Havapoo Tiniest In His Litter ! Handsome little Dexter is such a snuggly little guy! He loves his people friends of all ages and is happy to spend time with anyone who holds him. He’ll be sure to shower you in puppy kisses, so be ready for more affection than you could ever imagine. He’ll rescue you from your long days with lots of love, tail wags, and cuddles. Dexter will warm your heart unlike any other. This sweet boy will be coming home to you with plenty of puppy kisses so all you have to do once he arrives is worry about where to cuddle up first! My name is Dexter Named the day I was born! My new home Green Ohio . 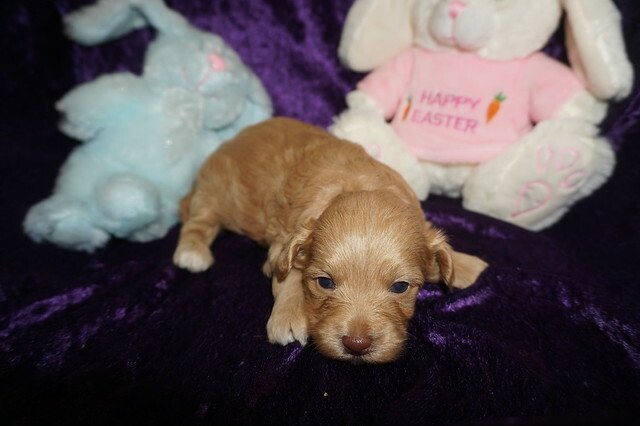 I’m Dexter and I’m the only male in my litter of three Havapoo pups and I’m so sweet! No Litter theme for my litter as everyone was anxiously awaiting our arrival so our new families named us immediately (So guess litter theme is much awaited puppies) I’m a gorgeous black color with brindle markings on all four paws including the inside of the paws on my muzzle and under my neck. I have soft silky hair that will entice you to run your fingers through it, I also have my full tail. My mom Little Red Riding Hood is 8 lb Havanese and Daddy Chili Pepper Spice of Life is 6.8 lb poodle making our litter toy size. 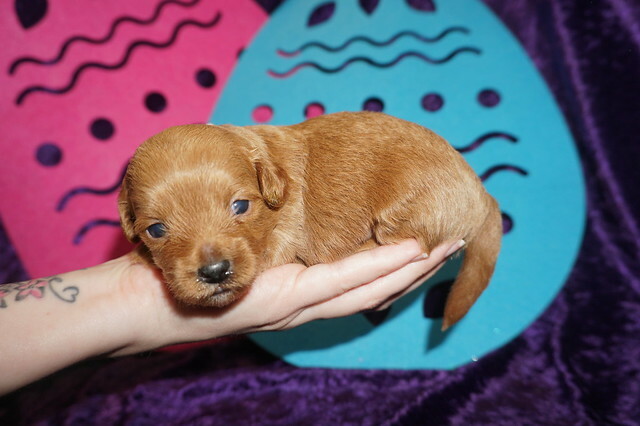 I’m the tiniest of my litter weighing only 5.1 oz at birth and estimated my adult weight is 6 lbs unlike regular Havapoo that weigh 18-22 lbs he is but I’m ready to steal your heart!